Recent homes with large expanses of south-facing glass are reminiscent of designs from the 1970s. What's behind the recent revival of house designs that maximize passive solar gain? Image Credit: Image #1: GO Logic Completed in 2004, Katrin Klingenberg's house in Urbana, Illinois, was the first single-family residence in the U.S. to be certified as complying with the Passivhaus standard. The house is known as the Smith house. An architectural cliché from the 1970s — the passive solar home with large expanses of south-facing glass — is making a comeback. In recent years, we’ve seen North American designers of Passivhaus buildings increase the area of south-facing glass to levels rarely seen since the Carter administration. What’s the explanation for all this south-facing glass? We’re told that there’s no other way for designers to meet the energy limit for space heating required by the Passivhaus standard: namely, a maximum of 15 kWh per square meter per year. Struggling to meet this goal, many Passivhaus designers have found that the typical triple-glazed windows sold in North America have U-factors that aren’t quite low enough (or SHGCs that aren’t quite high enough) for their designs to meet the standard. Because of this, these designers often end up specifying very expensive triple-glazed windows from Germany or Austria. As I have often noted, these Herculean efforts to meet the Passivhaus standard pay no attention to cost-effectiveness. 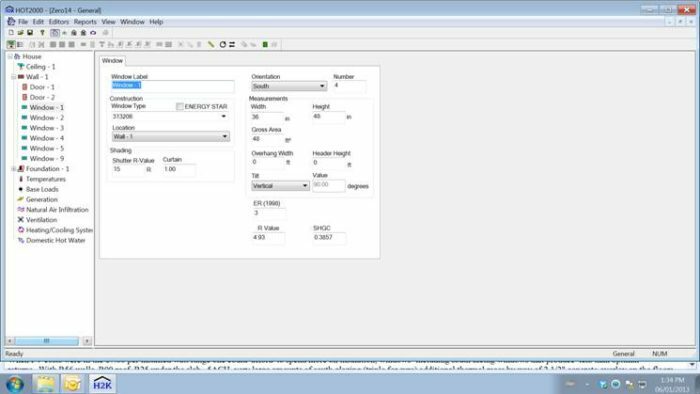 Even when designers find it necessary to invest in measures that are much more expensive than a photovoltaic array, they plow ahead because they have to meet the numbers dictated by the PHPP software. These investments in very expensive building materials are probably a waste of money. An excellent paper by Gary Proskiw, “Identifying Affordable Net Zero Energy Housing Solutions,” looks into the cost-effectiveness of large expanses of south-facing glazing as well as the cost-effectiveness of low-U-factor windows. Proskiw, a mechanical engineer from Winnipeg, Manitoba, who specializes in residential energy issues, concludes that heroic window measures don’t pay worthwhile dividends. Proskiw’s paper focuses on ways to optimize the design of a net-zero-energy (NZE) house. While the paper mostly focuses on Canadian climates, it considers one U.S. home (the net-zero-energy house built by Habitat for Humanity in Wheat Ridge, Colorado) in its analysis. Proskiw asked an interesting question: should the designer of a superinsulated home add extra south-facing windows “to increase solar gains and reduce the space heating load”? He tackled the question by analyzing the cost of this measure and then comparing the cost to the energy benefit. For the purpose of his analysis, he considered an 1,800-square-foot net-zero-energy house located in Winnipeg, Manitoba. He assumed that the base-case house had R-44 exterior walls and south-facing glazing with an area equal to 6% of the floor area. According to his analysis, the cost to build an R-44 wall is $170 per square meter ($15.80 per square foot). What if the designer chose to add another south-facing window — one measuring 1 square meter (10.76 square feet)? According to energy expert Marc Rosenbaum, adding a south-facing window measuring 1 square meter (gross area) on one of his Massachusetts house designs (a house from the Eliakim’s Way development on Martha’s Vineyard) would save 120 kWh a year (worth about $12 a year, according to Proskiw’s method). If the window could be installed for an incremental cost of $318 — (the actual incremental cost is likely to be higher) — the simple payback period would be 26 years. What about investing in really good windows? The less expensive option ($360 per square meter) was a “relatively conventional triple-glazed unit with an insulated spacer.” This window did not include argon gas or any low-e coatings. The more expensive option ($488 per square meter) was a “triple-glazed unit with one low-e coating, two argon fills, and an insulated spacer.” The incremental cost for this window was: $488 – $360 = $128. Proskiw assumed that the window measured one square meter and faced south. The energy savings attributable to the glazing upgrade was 8 kWh per year, which Proskiw valued at $0.80. The upgraded glazing had a simple payback period of 160 years. What’s the lesson for designers of superinsulated homes? “Since windows and their upgrade options are so expensive, the investment would often be better spent on improving the energy performance of some other conservation or renewable energy option,” Proskiw concludes. One way to summarize Proskiw’s findings: builders of superinsulated homes in cold climates should choose affordable (usually triple-glazed) windows rather than exotic windows with extremely low U-factors. In January 2013, I received copies of an e-mail exchange between Peter Amerongen, the developer of the Riverdale Net Zero project in Edmonton, and Gary Proskiw. “Now, when additional window area is added to the house there is greater opportunity for passive gains. However, they are only of value if the house can actually utilize the gains. In the conventional house, that means the windows could theoretically reduce the heating load over a nine month period. But in the net-zero-energy, the ‘window’ during which these benefits can be realized is less than one-half that of the conventional house. Further, the months in which the net-zero house could theoretically use these additional solar gains occurs during the period of the year when solar gains are at a minimum. “In other words, adding a square meter of window area to a net-zero house will produce much less benefit than adding that same square meter of window area to a conventional house. Of course, the same holds true for conservation (adding one more batt of insulation to a net-zero house will produce less benefit than if that batt were added to a conventional house). The difference is that one square meter of window area costs about ten times as much as (say) an equivalent amount of wall area, so the consequences of excess glazing area are economically more problematic than excess insulation. “Basically, here’s the problem. When one square meter of window area is added to a house, two things happen: the gross space heating load is increased (since the window has a lower R-value than the wall area which it replaced) and the passive solar gains are increased. Unfortunately, the increased space heating load is present 24/7 during the heating season. The extra passive gains are also available, but can only be utilized during a portion of the heating season (unless overheating is allowed to occur). As the house becomes more energy efficient, that ‘portion’ becomes increasingly smaller. To illustrate, the percentage of the solar gains which were actually usable by the house in the two cases below was 33% for the conventional house and 28% by the net-zero house, as calculated by HOT2000. The Pretty Good House team has been stumbling toward similar conclusions - simple shapes, simple systems, simple windows, etc. Perhaps obvious but hard to resist the pull of the new and shiny. Also, ironically, as window performance keeps improving we find clients and designers keep wanting to make them bigger, resulting in a "net zero" improvement in overall wall R-value. As you know, I'm a fan of the Pretty Good House movement. 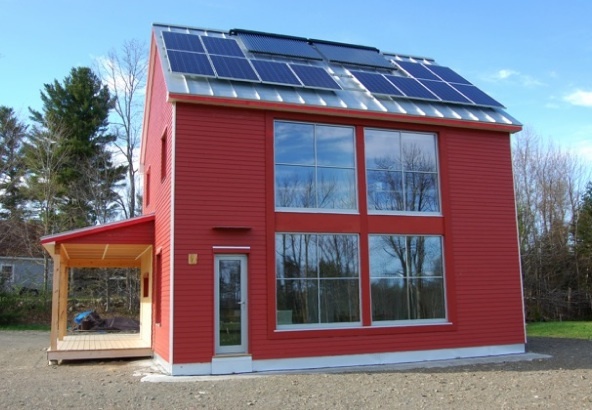 I'm also a fan of the approach taken by Carter Scott, who has perfected the $250,000 net-zero-energy home in Massachusetts. Yesterday, many news outlets reported on the accomplishments of a team of designers and builders who completed a net-zero-energy house on the campus of the National Institute of Standards and Technology (NIST) in Washington, DC. One news outlet --ABC's Channel 7 -- even reported that the house was built "at a surprisingly affordable price ... about $800,000." News flash: you can do it for a lot less than $800,000. I actually logged on to the GBA site this morning to do a little more research into Intus windows which, along with Marvin's triple-glazed and Thermotech, we are having our contractor get estimates for as we get ready to build our new house. I've shared Dan's Pretty Good House piece with our contractor and have used the ideas contained in that article as our guiding principle for this project. But the recent appearance of Intus on the scene has me intrigued. It appears that they offer a window with a 7.7 R value for less money than the other two manufacturers I mentioned. The premise of this piece is that the European windows are too expensive. But if they're not so pricey, why not do it? And who wouldn't want tilt and turn? The big problem is the 12 week lead time. Any thoughts, folks? U.S. builders looking for European glazing specs at the lowest possible price have all turned to Intus. The only downside: their affordable windows have vinyl frames. However, Intus windows are certainly cheaper than any other European triple-glazed window (as far as I know). Of course, if you want to follow Proskiw's philosophy -- and if you have no objection to vinyl windows -- you might as well buy a triple-glazed vinyl window from Harvey Industries or Paradigm. (Those are vinyl windows made in the U.S.). That's the low-cost approach taken by Carter Scott. My initial impression regarding the first round of homes built to the Passive House standard in New England is that overheating is a bigger problem than anticipated, not necessarily mid-summer when south glass is less of an issue, but in the shoulder months. If it turns out that the extra south-facing glass adds to the cost of cooling, or that builders will need to include some sort of exterior shading, Proskiw's argument might become stronger still. "My initial impression regarding the first round of homes built to the Passive House standard in New England is that overheating is a bigger problem than anticipated..."
It's 1982 all over again... and the latest generation of designers is learning the same lessons that those of us with gray hair learned in the '80s. September and March are the months to watch. So if it's sunny right now, you'll get a good idea of how your house is performing. It is worth mentioning that the Intus products use U-PVC, while the windows used by Carter Scott are the ordinary plasticized vinyl variety. Theoretically the unplasticized Intus windows will be longer lasting and not adversely affected by ultraviolet light. Low cost is great until you have a window that won't open on a 90 degree day! There's a lot of nonsense bandied about in the vinyl window industry, and the much-ballyhooed advantages of "uPVC" over "PVC" is an example of nonsense. Vinyl is vinyl. Of course, there are differences in the quality of vinyl lineals, but these days, these differences in quality have more to do with the thickness of the vinyl than the composition of the plastic. Here's what Alex Wilson discovered when he researched the topic: "Plasticizers are not used in any American vinyl window extrusions and never have been. I do not believe there is any difference between UPVC and the PVC used in American windows. I asked two contacts in the vinyl industry about this a few months ago, and both were quite adamant about that. Phthalate plasticizers are widely used in flexible vinyl, including vinyl flooring, wire sheathing, and shower curtains--where it can account for 40-50% of the total weight I think. Vinyl window extrusions and vinyl pipe do not require these plasticizers." 1. in the last quote we have from intus (before we were asked to be the WA rep) a 1m^2 fixed window w/ glazing with a Ug=0.088 was $289 shipped. this is nearly half what was calc'd in the study. 2. the payback calculation is from winnipeg, canada, which has a meager 10,500 HDDs per annum. most of the inhabited US is half of that AND gets more insolation, so the payback is probably going to be significantly faster. 3. in the higher-end design world, it's not uncommon to get quotes for poorly-performing double pane wood windows that are the approx. same cost as phenomenal european PH windows. in many of these instances, performance isn't considered at all beyond code - and with the utilization of the PH windows would make a fairly significant dent in energy bills, with no net cost (or in some cases, a net reduction in cost). in these instances, simple payback isn't even in the picture ('we want the best looking wood windows'). to me, this is an area where the study falls flat - not all houses shooting for NZE are shooting for lowest first costs. and in addition, some that shoot for NZE just do it poorly - e.g. the zHomes out here in issaquah). 4. can't the determination be made that ANY window (especially those on N/E/W orientations) can never recoup their costs in savings without some R-15+ superwindows? the intus quote was actually cheaper than US windows of comparable (but still worse) performance by nearly a factor of 1.7. i think it's still something that needs to be better researched (reference the CEN v NFRC conversation). but we're also gravitating towards similar paths - compact form, utilization of GFX, etc. Your examples tend to confirm Gary's analysis and recommendations. Like other Passivhaus designers who are aiming for affordability, you have gravitated to fixed Intus windows. This decision is consistent with the advice given in the subhead of this article: namely, that "inexpensive triple-glazed windows are good enough." Let's face it -- not everyone is happy with a fixed vinyl window. Fixed vinyl windows are only an option if you include operable windows elsewhere. Most custom home clients want something better than a fixed vinyl window. That's why GBA guest blogger Roger Normand has been struggling with his decision on whether or not to spend $70,000 for Unilux windows (at an average cost of $134 a square foot) for his house in Maine. We can all play with the numbers to prove any point we want. If you assume that the price of a fixed vinyl window is representative of the average window cost of a Passivhaus home, you can prove your point. But that's a bottom-rung window for a Passivhaus. If I choose the Unilux price, it's easy for me to prove that the investment is uneconomic in terms of energy payback. Here's the bottom line: very expensive windows are hard to justify from an energy-savings perspective. Moreover, large expanses of south-facing glass are likely to cause problems with glare and overheating, and aren't worth the extra cost compared to a south-facing wall with fewer windows. We're still waiting for a final quote, but the word we've gotten from our contractor is that Intus aluminum windows are still less than Marvin triple-glazed. We should find out soon. All other things being equal, this would make Intus a sensible choice. The problem is that all other things are not equal. 12 week lead times and delays in dealing with warranty issues or mistakes on the order have me worried! Does anyone have any experience with Intus that would allay my fears? As a builder I know of only one way to assure non-stock materials get to a site on time and correct. Purchase far ahead of time, take delivery, verify order and then warehouse till needed. When I as a builder am allowed to control my order timing there are less problems. I know Chris Corson here in Maine has used Intus on several projects with no significant complaints. And our PGH host, Steve Konstantino of Maine Green Building Supply, has been repping them - you could contact him and ask how that has gone. Martin, I haven't looked at Paradigm triples in a while but the last time I did I was underwhelmed by the frames. I should check them out again - while not a big fan of vinyl windows they have been my go to window for vinyl replacement double-glazed for reasons of locale, quality and price for quite a while. "It's 1982 all over again... and the latest generation of designers is learning the same lessons that those of us with gray hair learned in the '80s." "One way to summarize Proskiw’s findings: builders of superinsulated homes in cold climates should choose affordable (usually triple-glazed) windows rather than exotic windows with extremely low U-factors. “From an energy perspective and based on the incremental costs and energy savings, window selection should be based solely on the need to control condensation,” Proskiw wrote. In most cases, that means that you should choose glazing with a warm-edge spacer." Since triple pane windows may require upgraded hardware, and the additional glass pane can contribute to potential seal failure why can't glass and window designers could come up with a method of fabricating windows that result in triple pane performance in a double pane window? Wait...maybe there is an option (new invention apparently)! Option #2 HSGC LowE surface 3 - U .28, SHGC .70, interior glass temp 54.3F at Deltas T of 70F. Both options 1/2" 90% argon filled airspace. I wonder if the dual pane with clear triple pane performance will ever catch on? Gary Proskiw's choice of clear triple glazing to illustrate an inexpensive triple-glazed window was rather idiosyncratic -- it's actually a fairly rare type of triple glazing, and I don't think it's actually any cheaper than triple glazing with one or two low-e coatings or with argon. You may well be right that double-glazed windows with low-e and argon are perfectly adequate for cold-climate homes -- especially if there are warm-edge spacers that address condensation. All designers have to do is the math -- to decide whether the cost of the upgrade from double to triple glazing yields enough energy savings in their climate to make sense. you keep mentioning Marvin tri-pane. Are you seriously considering the Marvin version or the new Integrity tri-pane? While the Integrity gives you a single option since it is new to the market, the Marvin version is very expensive and hardly any more efficient then their cheaper little brother the Integrity in a dual pane fiberglass frame. IMO, your money if far better spent on tri pane options other then Marvin premiums (if that is infact what you are pricing). Especially when you compare Marvin to Intus...you are comparing a high quality, architecturally driven wood window with a vinyl window with impressive ratings at a decent price. I too went down the road in estimating until deciding I just do not like the vinyl look in any way, and I also do not like white windows. In my findings in zone 6, a high solar gaining dual pane window still seems to be the ticket on the south. Switching to tripane has payoffs far exceeding the life of the window. I have also given no value to the "comfort" of tripane and I have never found the draft some speak of off of my current dual pane double hungs (Pella). Many or most on this forum will probably disagree with my dual pane assessment as tripane is becoming the new standard for the entire house. Cost effective measure for my personal glass package selections have been properly sized and shaded dual pane on the south, limited to no windows on the east and west, tripane, and a low amount of tripane on the north (views). My reply was intended to inject a little ironic humor into the thread by channeling your comment about being back in 1982 with the suggestion of a clear triple pane....I need to work on my presentation. Anyway, as I have previously commented that (IMO) NA glass packages and windows not being equal to Euro energy performance standards is due primarily to demand, along that sameline, I might also suggest that there is definitely a fairly prevalent opinion among at least some US glass and window fabricators, that doesn't disagree with Mr. Proskiw's findings - with the exception that offering a clear glass triple pane would ever be a good idea. Some people might even question where the need for superior energy performance, based on cost versus benefit analysis, ends, and bragging rights begins. Cardinal publishes the durability statistics of their IG units. Since 1993 with the introduction of the stainless spacer system, they claim a 20 year field failure rate of less than .2% percent - based on something like 400,000,000 units in the field. Although the energy performance of the stainless spacer does trail the best non-metallic systems by a couple of degrees at the edge, Cardinal has stated that they consider long term durabilty as the primary consideration when fabricating their IG units. Are today's warm edge spacers durable enough for cold or very cold climate Zones? I see that Cardinal Glass still uses stainless steel spacers on most or even all of it's IGUs. I assume that the reason has something to do with the robustness of common warm-edge spacers. Nothing worse than losing the seal after only a few years of service. been applied to a conventional house, with a much larger space heating load, the energy savings would have been significantly larger and the economics much more favourable." Assuming the same delta t, wouldn't the energy savings using identical windows be the same no matter what type of wall or building they are installed in? What am I missing here? The discussion is focussed on windows of course, but another somewhat interesting observation from the linked report is that none of Proskiw's NZE home scenario's included subslab insulation. I've always had the impression that was a pretty critical part of a containing the thermal envelope. I have watched with interest, your coverage of Passivhaus and finally need to chime in. First, for those of us who have been building low energy Passive design for 30 years, the over glazing issue is well known. I build in Virginia, where if you do not have adequate shading in the shoulder seasons, you will cook! So the contention that Passivhaus designers are relearning this lesson, needs to be appended to say "some have to relearn this". This is a very simple thing to fix and those of us in the movement with more experience have been working hard to mentor the folks who have not been through the crucible of the Carter days. This will not be an issue long. Second regarding affordability, there is a much more nuanced discussions to be made here. First, please understand i come from a region (SW Virginia) that has inexpensive energy, where the average person has very little interest in Climate Change, and a good percentage of folks are actually card carrying anti-science Foxers, who challenge even the concept of climate change. And lastly, if you discuss interior comfort and interior air quality, you just get blank stares. So I have had to develop my Passivhaus business with one selling point - affordability, in fact the hurdle that I have to jump is Cost Equity. This means the monthly cost of ENERGY + MORTGAGE is equal for a Passivhaus! As you can imagine, this has been a tough nut to crack with our mild temps and low energy bills. As an example for an 1800 sq ft house this allows for a cost premium to maintain cost equity of only about 20K. So one then has to look at the entire building as a system to be able to make the balance work. Passivhaus ihas a very good tool for doing this in the PHPP. Windows are critical in this whole equation. We have been using Passivhaus Certified Klearwall Windows (Irish made and cost competitive with the Intus product). But as you can imagine this is only a small piece of the puzzle. Everything has to be looked at holistically to maintain the delicate cost equity balance. It took 2 1/2 years of trial and error to come up with a system that works, but it does! We are now delivering affordable (defined as under 300K) homes for cost parity with std. construction. (in the $135/SF cost range for a basic home). The nice thing is that we are seeing the results. Homes are performing within predicted temperature and energy parameters (total energy less than 15kwh / day for a 2000 sq ft home) and we are not alone in our experience. Colleagues from all over the country are reporting similar results in terms of cost and performance. So the way I look at it is that the early Passivhaus pioneers in the US are now "tunneling through the cost barriers" as well as fine tuning the PHPP for the US climate. With the market expanding, soon there will be US made products (including windows) that will meet the PH requirements and cost will come down as availability goes up. So I see a bright future for this methodology for producing low energy buildings cost effectively. Lastly I want to say that by no means is Passivhaus the only way to achieve the result of affordable low energy structures. There are many means to this end! All the discussion and sharing of ideas and best practices is fantastic in moving the field forward. As a veteran who pinned many hopes on the advances in the 70's and 80's and was let down by the lack of follow through, by deepest hope is that this time it sticks. As colleagues who are striving to move this country's building industry forward I hope that we we can all work together, share results and new ideas and not argue too much about who's methods are best, after all (I think) we all want results and realizing how small a group is working on this we need to stick together and all grow from each other's experiences. I agree with you comments. Especially on the south side of a house, clear triple glazing is worth considering -- especially if it is cheaper than any other type of triple glazing (as logically it should be). And I agree with you concerning designers who are all puffed up about their U-0.11 windows installed as in-betweenies -- because they are so much better than their neighbor's U-0.15 windows installed as outies. This is the realm of bragging rights, not logic. I'm glad to hear that you have been designing suprinsulated passive solar buildings for 30 years. And I agree, many designers like you all over the country have been refining their designs and coming up with simpler solutions in an example of convergent evolution. I agree with you that not everyone is making the mistake of overglazing their south facades. I am nevertheless unconvinced that the Passivhaus route is worth traveling. I think that the net-zero approach makes more sense: find out how many kWh per year you can get from an investment of $1,000 in PV (currently, the answer is about 320 kWh in the Northeast), and use that as a benchmark to gauge the logic of all or your energy improvement measures. If you're thinking of investing an extra $10,000 in windows with fancy glazing, the investment ought to save you at least 3,200 kWh per year in the Northeast, or it just isn't worth it. I've never heard a Passivhaus proponent come up with a logical reason why designers shouldn't follow the net-zero design path. I still see plenty of Passivhaus designers led astray as they seek the holy grail of 15 kWh per square meter per year. Consider this quote from a guest blog by Roger Normand, who has hired two experts I respect highly, Marc Rosenbaum and Chris Briley, to shepherd him through the Passivhaus design process. 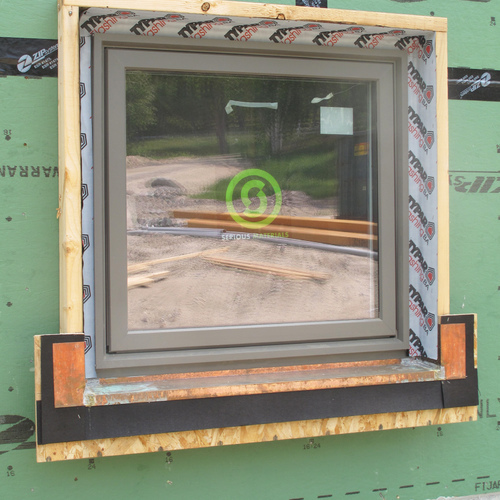 Normand wrote, "the Ultratherm 3 windows as currently specified fail to achieve the Passive House standard without additional substantial increases in insulation. The results of Marc Rosenbaum, our energy consultant, were shocking, given the UltraTherm 3 product literature. 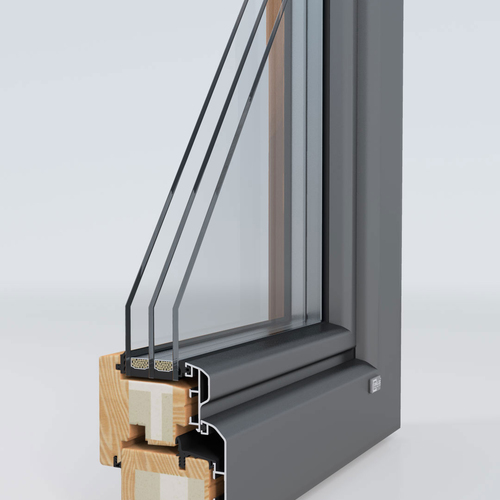 The reason is that the sash and frame members of the Ultratherm windows are thicker and have a lower SHGC than the Schüco. The Passive House heat load ceiling is 4.75 KBTU/sf/yr. The Schüco windows comfortably met the goal at 4.40 KBTU.sf/yr. Without any other building envelope changes, the UltraTherm 3 came in at 6.35 KBTU/sf/yr. " So these triple-glazed Unilux windows from Germany still weren't good enough, and Normand's team went back to the drawing board, and kept looking for better windows. This doesn't make economic sense. The way I read Greg's comment # 19, is that he thinks that a clear triple is not a good idea. He has shown in other posts (comment #14) that it is rather easy to meet or exceed the performance of clear triples with double pane low e options. I agree with you (and disagree with Gary Proskiw): assuming that two adjacent houses have the same indoor and outdoor temperatures, and the same solar exposure, a south-facing window of size X will gather exactly the same number of kWh of heat annually in both houses -- even if one house is a net-zero house and the other house is a house that barely meets code. I'll leave it to Greg Smith to tell us when, if ever, he would advise anyone to install a window with clear triple glazing. We have been considering Marvin's main line, mostly because you can get different coatings depending on the orientation of the windows. Integrity's tri-pane are only available with 272/180 coatings. But if I knew how to calculate the payback on that difference maybe I would find that the Marvins don't make sense! I appreciate the comment. We're going to take a closer look at Integrity. Adam Cohen, Chris Corson and others will share their experience at Passive House New England's Fall Symposium on Saturday 27 October. This year's theme is "Getting It Built", with a focus on real world solutions to the technical challenges of designing and constructing low load buildings, as well as how to find (or create) clients for whom to build them. There will be plenty of time in between sessions for discussion and debate. Martin, it would be great if you would come down for the day. The full schedule and registration information will be posted in the next couple of days at http://www.passivehousenewengland.org. If you sign up for the newsletter, you'll get an announcement when registration is open. PHNE is volunteer-led and run organization and a 501(c)3. Taking off that that hat and speaking as a practitioner who works on institutional, multifamily, and small residential low load buildings... window size, as well as quantity, has a great impact on total glazing cost, whatever window is being specified. I'm currently working on a deep energy retrofit to the passive house standard, and I'm maintaining most of the existing openings, which are typical size for a 100 year old house. With the same total glazing area, but only 50% of the openings, the cost savings would have been great. I trust that this is partly how Matt and Alan of GO Logic were able to build that red house in the picture at such a low cost. Of course, a good wall will always be cheaper and perform better than any window, but try convincing a client that windows are bad. As for the "invest in PV rather than the envelope" argument, I can buy it for single family residential, maybe. But if one starts to think about net zero communities, net zero towns, net zero cities, shouldn't the goal be to focus on maximizing energy efficiency in new construction, where it is possible? To provide (possibly) surplus local energy production that can help to offset demands at a historic building that never will be able to approach net zero? Or a factory, or a 100 unit multifamily building? The question, to my mind, should really be where does the line get drawn for net zero? Net zero single family houses are not going to get us very far. FYI, Matt and Alan will be speaking at the ABX Conference (November) in Boston as part of the NESEA High Performance Homes Track. They gave a great presentation earlier this year at Building Energy 12, and I think that this next one will be as good if not better. "I'll leave it to Greg Smith to tell us when, if ever, he would advise anyone to install a window with clear triple glazing." My apologies for not being clear on my post. I do tend to "think-outloud" too much when I am writing and it can make my posts a bit convoluted at times. There's a really good reason that I'm not a journalist - I would probably starve. Trust me that I have the utmost respect for people who can write clear and concise sentences. Honestly I can't think of any time that I would recommend a clear triple simply because a dual pane with either high or low solar gain coating (depending on application) will outperform the clear triple everytime. Reducing the number of window openings while making each window larger does, indeed, reduce the overall cost of the windows while improving the energy performance of the building. The main risk with this approach is reducing the livability of the building because of glare or overheating -- or because the approach results in the elimination of a small charming window that improves the daylighting or the "feel" of the interior space. As I've written before, using the cost of PV as a benchmark to help a designer refine the design of a very efficient building doesn't necessarily require the designer to install PV on the building's roof. It's just an approach that helps the designer to gauge the relative cost-effectiveness of different options or energy-performance measures. "Assuming the same delta t, wouldn't the energy savings using identical windows be the same no matter what type of wall or building they are installed in? What am I missing here?" I have an answer for comments #21, #26, and #27. The answer is: "useable solar gains", "gain-load ratio", or "solar utilization factor". Essentially, in a poorly insulated home the heat losses are large, and the combination of internal heat gains and solar gains make only a small dent in meeting those losses (the remainder is made up by the furnace). In that same month, the well-insulated, tight home has much smaller losses, such that the internal heat gains and solar gains together not only meet those losses, but exceed them. In that case, the home heats up to the point where the occupants might open a window just to cool things down - hence losing all that solar energy that made it's way in through the window glazing. In that second case, the one where the windows needed to be opened to cool the home down, that additional 1m^2 of glazing was extraneous, and it's impact will be very minimal on the annual energy balance. That same 1m^2 window in a very leaky, poorly insulated home will likely make full use of the solar energy provided. It is worth noting that increasing allowable temperature swing and increasing thermal mass both increase the solar utilization factor. I agree with Gary Proskiw. If you would like the specific calculations for determining the solar utilization factor, I could add them in the comments, though it is quite likely that most people looking at them will decide that it seems like a lot of work to go through to figure out windows (and they'd be right). If anyone is interested (and has read this far), just ask. I agree with your analysis (although I must add that your analysis does not contradict my analysis). Whether or not your point is the same one that Gary Proskiw was trying to make is a little unclear. I think we can all agree that the heat gains through the south-facing window measuring 1 square meter will be the same regardless of the amount of insulation in the walls and ceiling. Your point is that if a house has too much south glazing, the occupants will have to open up their windows and let out the heat on sunny days to avoid discomfort. You are absolutely right, and that's why Gary advised limiting the area of south-facing glazing to no more than 6% of the floor area of the house. To use the original example, Proskiw modelled a savings of 19kWh per year with the window in the NZE home. Even accounting for the worst SHGC that he could have used (base on the description of his window, HOT2000 gives 0.3921), that window in Winnipeg would have let in 523.56kWh/yr (ignoring the off-angle incidence factor of around 0.93), and lost at most 106.46kWh/yr in heat (based on an Rvalue of 3.71, which is again the worst that HOT2000 will give for that description of window). The difference between the two, 417kWh/yr, is the theoretical benefit of this window in that climate. If nobody lived in the building (generating internal heat gains), and if this was the only window (hence no other solar gains are reducing the required heating load), then the window would likely be reducing the furnace usage by close to 417kWh. Savings would be clos to 417kWh if the house was big and large and poorly insulated as even the gains in july and aug could be used as the outside temp is below 21C, and smaller savings would be expected (possibly MUCH smaller) if that same window was installed in a very airtight, super-insulated shed that had a 60W lightbulb that is always turned on. In the second scenario of the shed, you can probably instinctively see where the presence of that window might not do much to reduce the furnace fuel consumption. In the larger home, with larger losses, is it also easy to instinctively see where the window could be quite useful at providing additional heat and hence reducing the furnace fuel consumption. It is a lot trickier to understand the effect when the homes are larger, but the science behind it is still solid. So for the big home with big losses, the potential benefit of the window is 417kWh/yr, but in the NZE home that already has a number of windows, the benefit of that exact same window in the exact same orientation and shading is only 19kWh/yr. I hope this was informative? I can try with different examples if this wasn't as clear as I tried to make it. I think the premise of the article is clear and Martin makes good, logical arguments, but I don't understand why PH and NZ proponents argue over who's best when they different goals. PH being reducing heat load to really low levels and NZ (based on what I read here) to get to NZ in most economical way, typically using PV to offset energy use. I know PH wants to be affordable, but I haven't heard any PH practitioner saying it the cheapest way to go. Why would you say forget PH because NZ can get you there cheaper when NZ isn't going to the same place? Or is this just an exercise in chest pounding? Fair enough. As long as a Passivhaus designer says, "We really want to reduce the heating energy load to 15 kWh per square meter per year, regardless of the cost," then that's fine -- and it's up to the client to decide whether they want to pay what it takes to get there. However (as I have documented elsewhere), LOTS of Passivhaus designers are claiming that their approach is "the most cost-effective way" to build a low-energy house. It's not. And I agree with you that designers of net-zero-energy homes have a different goal from Passivhaus designers. Now I'll shut up, because I don't want to engage in chest-pounding; that wasn't my intent. My intent was to highly Gary Proskiw's paper, which I found thought-provoking and useful. We're working towards getting our 80 year old California Bungalow style home in Melbourne, Australia to Near Zero Energy status. So far we've increased the ceiling insulation to about R4 (Australian), put R1.5 insulation under the polished baltic pine floorboards (look nice but with gaps you could literally feel a draught through), added a Solar Hot Water system, 1.5kW (peak) PV's and installed an efficient wood heater we fuel mostly with local arborist waste with some wood from my sister's farm etc. I was surprised by Martin's comments about the return from PV's/$1K in the US NE which I've quoted below. PV's in Melbourne for reasonable quality panels are down to about $2/watt installed. A kW of reasonably efficient panels would give you around 1200kWh/annum in practice. The Aussie and US dollars are close enough to parity at the moment so this works out at 600kWh/$1K. Insolation in the US NE would be less than Melbourne but I think the panels must also be quite a bit more expensive. "I am nevertheless unconvinced that the Passivhaus route is worth traveling. I think that the net-zero approach makes more sense: find out how many kWh per year you can get from an investment of $1,000 in PV (currently, the answer is about 320 kWh in the Northeast), and use that as a benchmark to gauge the logic of all or your energy improvement measures. If you're thinking of investing an extra $10,000 in windows with fancy glazing, the investment ought to save you at least 3,200 kWh per year in the Northeast, or it just isn't worth it." I was using $3.50/watt for the installed cost, and the insolation levels of Syracuse, NY (which isn't as sunny as Australia). You're right, of course: if the installed cost of PV is lower and the climate is sunnier than in my example, then the return on an investment in PV is even better. Thank you for providing an excellent explanation of how Proskiw's model could have resulted in an energy gain of only 19kWh/yr when adding 1 sq m of south facing glazing. Well done. The addition of a significant amount of mass, would likely increase the amount of modeled energy gained by quite a lot. I agree with Martin, that it is not clear from the report that Proskiw himself fully understands this. He does go on to describe the limitations of HOT2000 in modeling passive solar. Maybe this is where improvements need to be made first? This is a great discussion--if you're interested in continuing it in person, as Kristen Simmons mentioned earlier in the thread, Adam will be in new England this fall. If you're out West, Adam--and Kristen--will also be at the PHIUS/PHAUS 7th Annual North American Passive House Conference in Denver (www.passivehouse.us/phc2012). You can sign up for Adam's Pre-conference workshop on September 27, and attend his and Kristen's sessions during the main conference, runs Sept 28-29. And--speaking of windows--we'll be introducing the new PHIUS Certified Product Performance Data program. Hope to see you in Denver--by the current count of exhibitors and registered attendees, it'll be the biggest passive house event yet, but there are still slots. Thanks for the invitation to Denver. Thanks also to Kristen Simmons, who invited me to the October 27 Passivhaus Symposium in Boston. I don't think I can make it to Denver, but I'll do my best to attend the event in Boston. If the windows are fixed (or other than casement), need to consider visible light transmission and solar gain. VLT drops dramatically for most advanced triple glazed units. A double glazing low-e unit and a low-e storm could have much better VLT and solar gain that overcomes minor shortcomings in thermal performance for substantially less cost. And it wouldn't look any worse than the 4 megawindows in the photo. BTW, I couldn't agree more with the last 3 paragraphs of your article, as well as your reply to Adam regarding using per-kWh cost of PV as a baseline for efficiency improvements (comment #25). An architectural cliché from the 1970s? Martin, your lead-in paragraph caught me by surprise. Passive solar design isn't a relic of the 70''s. It was a niche then and (unfortunately) is still a niche. A fair percentage of homes I work on (including my previous home) are passive solar. I do a lot of work for Debbie Rucker Coleman's clients. (For those who don't know Debbie, she's an architect, long-time passive solar advocate.) Even on homes that aren't specifically designed as passive solar, I always look for opportunities to move the design in the ps direction. Architects (especially those not familiar with passive solar design principals) seem to have a love affair with glass. Homes with lots of glass appeal to many home buyers, but for reasons other than solar gain. I sometimes find myself pushing back against high glazing ratios, even on the south facade. Too much of a good thing. And as you mentioned, gotta watch those shoulder months. So I don't see passive solar as adding cost to a project but rather a design strategy that starts with lot selection. On the other hand, Gary seems to be presenting passive solar as an afterthought when he asks if adding a window would be cost effective. That's the wrong question. If you start with a good design, it's the over-the-top envelope specs that become difficult to justify. Ultimately, the appropriate mix usually comes down to climate, energy costs, PV incentives, etc. I do agree with Gary that it's not worth paying a huge premium (e.g., sourcing from Europe) to get triple-pane high gain glass. Instead, I specify dual-pane high-gain windows for south facade on homes spec'ed for triple-pane. Cardinal's LoE-180 combined with LoE-i81 has a center-glass u--factor of 0.22 with SHGC of 0.59 (see http://bit.ly/RzxxJX, scroll to bottom; whole unit values will be slightly less impressive). These new glazing products are a game-changer for passive solar designers. It may require a few phone calls to find a supplier willing to accommodate a split order, but it's usually not much of a cost hit. Thanks for your comments; I agree with most of what your wrote. One clarification: I never wrote that passive solar homes were an architectural cliché of the 1970s -- much less that they were a "relic of the 70s," as you put it. I wrote that "the passive solar home with large expanses of south-facing glass" was an architectural cliché of the 1970s. Needless to say, a carefully designed passive solar home should not have too much south-facing glass. I think that the two Passivhaus buildings that are shown in the photos used for this article -- both built within the past 8 years -- probably have too much south-facing glass. Many of us who were building passive-solar homes in the 1970s made this mistake. I made the mistake myself. In March and September, these homes get much too hot. After a wave of such failed homes, the smart designers started to realize that they didn't need as much south-facing glass. Passive solar homes continued to be built in the 1980s, 1990s, and 2000s, of course. The best such homes paid close attention to the area of the south-facing glazing. One more point: you wrote that "Gary seems to be presenting passive solar as an afterthought when he asks if adding a window would be cost-effective." Believe it or not, Passivhaus designers regularly use the "let's add another south-facing window" technique -- or, in some cases, the "let's make our south-facing windows just a little bit bigger" technique -- as they desperately try to hit the Passivhaus goal of 15 kWh per square meter per year. That's how they end up with the designs shown in these photos. Here's how GBA blogger Roger Normand described the process in his EdgewaterHaus blog: "So how did we get to the 4.74 KBTU/sq. ft./year? ... To improve the overall building thermal performance, our architect, Chris Briley, added more south-facing glass and reduced the roof overhang above these windows to eliminate any winter shading. Chris assures us that the vegetative trellis he has designed along the south facade will preclude overheating in the summer. ... Marc Rosenbaum then added 10 inches of cellulose insulation, raising the ceiling R-value from R-76 to — gasp — R-118." > I think that the two Passivhaus buildings that are shown in the photos used for this article -- both built within the past 8 years -- probably have too much south-facing glass. It appears that the designer was trying to make up for a low SHGC, which is a real problem with triple-pane. If so, this obviously makes no sense because the additional conducted loads would be larger than had they used more appropriately sized double-pane windows with high-gain glass with low u-factor. Not to mention the huge savings in first cost. This sort of short-sightedness is typical when the solution space is artificially constrained. If PHPP is handling these impacts correctly, then we're left to blame the designer. As for my critique of your lead-in, I saw the "cliché" comment as showing disrespect for properly done passive solar design. At least your subsequent comments demonstrate that we agree on this. "On a broader level, these results indicate that our long‐held belief in the merits and value of passive solar energy as a key component of Net Zero Energy House design need to be carefully re‐examined and likely challenged." My position is that passive solar design should always be a key component of NZE design. What needs to be examined and challenged are designers who don't know what they're doing. I'm not sure why you think that Katrin Klingenberg and GO Logic chose low-SHGC glazing for their south-facing glazing. The Thermotech windows that Katrin chose for the south side have 0.51 SHGC glazing. 1. Does the south facade of the design under consideration have more glazing area than needed for normal daylighting? 2. If so, are the thermal benefits of the hoped-for solar gain high enough to justify the cost of the extra glazing area? I was speculating as to why those windows are so large. Given the specs you posted, yeah, I definitely agree those windows would likely backfire, especially given the low heat loads of these homes. Point taken. On the other point, the two questions you pose for designers perpetuate the idea of passive solar as a stop-gap measure, rather than a "from the ground up" design approach. If the issue is overheating, why have high SHGC? I'm a bit confused. If you build a well-insulated, well air-sealed building envelope your need for solar gain is greatly reduced. We all seem to be in agreement on that. Homes with too much glass tend to overheat, especially during shoulder seasons when the glass is more difficult to shade. Obviously there's a need to calculate this out, but wouldn't it make sense to drop the SHGC of the windows to reduce gain during the shoulder months? I'm not advocating for incredibly low SHGC, but with a good enclosure and moderate amounts of glass with a SHGC of about 0.40, shouldn't you get the modest solar gain needed while reducing the problem of shoulder season overheating? I should point out that I'm located in California where heating needs are relatively low in most locations. Am I missing something? I'm working on a remodel in Sunnyvale, California, just down the road from San Fran. Our overall heating load there is still higher than our cooling load (1.77 BTU/ft2hr vs. 1.17 BTU/ft2hr), even with well-insulated assemblies and good air sealing (R-25 walls, R-40 Roof, R23 floor & airtight to 1ach50. Yes, don't laugh - it's California.) We're using the existing rough openings for our windows and have added two additional units for light balance in a bathroom and the living room. I'm finding that even if I cranked the glass SHGC way up, the windows on this project would still be net positive heat losers, mostly due to how the building is oriented and the large evergreen trees on the south side. My building loses more heat through the walls, roof, floor (8,714 kBTU/yr) and windows (4,635 kBTU/yr) than it gains from the windows (3,773 kBTU/yr) or from internal heat gains (7,674 kBTU/yr) - which account for almost 75% of the net heat gains. Overall, I have a net heat loss, so I need to provide a small amount of supplemental heat for the colder months of the year. Point being, my windows are not the guilty culprit here in the overheating blame game. The window package for this project is just over $17K - pretty affordable. We could have spent much more money on higher performance windows, but our insulation is cheap and our loads are incredibly low, so why bother? When you are able to start looking at the building as a WHOLE, and figure out how best to offset both losses and gains, you can start to make much better decisions about where and how to spend your - or your clients' - money. Martin, I think you know I'm a big fan of Passive House. I’m still learning here, but I’m enjoying using the PHPP as a tool to make much more informed choices than I was able to previously. Windows will always be a complicated choice for buildings. Some clients just want what they want. I worked with a client where the lower cost, higher performance option was rejected because it looked 'cheap.' Saying 'top of the line windows are a waste of money' is like saying Notre Dame should have been built with clear glass. It definitely would have been much cheaper to build but cost will always be only a single factor in window choice. Blaming windows and glass for overheating is another classic oversimplification. Overheating is more often due to lack of, or poor, shading design. We can, if necessary, use really high SHGC glass and design openings as large as the frame will carry (seen any skyscrapers lately?) BUT, we then need to ensure we're not losing more heat from our windows than what we are gaining from them and that we provide adequate shading, particularly for the shoulder months. Finding the right balance is what we should be aiming for. Isn’t that what reporters are supposed to aim for too? You asked, "If the issue is overheating, why have high SHGC?" The designers of the two pictured homes chose high-solar-gain glazing because they want to maximize the amount of solar gain received during the winter months. Both designers were probably using software (PHPP) that indicated that larger windows provided a net performance benefit. My article is questioning that approach, however. You're right that if these two homes had the same-sized windows, but had low-solar-gain glazing, then the homes would be at less risk of overheating in March and September. But that's not what the designers wanted. They wanted more heat in January. Of course, this decision carries the risk of overheating during the swing seasons, as you and I recognize. To my eye, the windows are hugely oversized from an aesthetic viewpoint. No architect would choose windows of this size for aesthetics or livability alone. The only reasons for these huge south-facing fixed windows is for the presumed thermal benefits. Rather than installing huge windows with low-solar-gain glazing, the better solution is simply to install smaller south-facing windows. That's better aesthetically, and better in March and September (in terms of thermal performance). The thermal disadvantage in January is relatively small, and is easily overcome by adding more heat. The savings that accrue from buying smaller windows helps pay for the increased fuel cost. You wrote, "I'm finding that even if I cranked the glass SHGC way up, the windows on this project would still be net positive heat losers, mostly due to how the building is oriented and the large evergreen trees on the south side." That statement supports the argument I'm making in this article. If windows are net energy losers, then there is no reason to include large areas of glazing. Windows are expensive. They lose more energy at night than walls, and they can cause overheating in sunny weather. So windows should be sized to meet aesthetic and daylighting needs rather than to meet thermal performance goals. Increasing window sizes to hit the Passivhaus number doesn't make any sense. You wrote, "If you drive around Berkeley, CA, you can see countless failed 70's experiments - building one's that is - covered with shade cloth in the summer, or dripping with internal condensation in the winter. It would be great if you posted on those some time." In fact, I have often written about these failed 1970s experiments -- the first generation of passive solar homes that had too much glazing on the south side, not enough insulation, and high rates of air leakage. In addition to this article, which addresses that very issue, here's another article I wrote: Solar Versus Superinsulation: A 30-Year-Old Debate. In that article, I wrote, "During the 1970s, owner-builders all over the U.S. erected homes with extensive south-facing glazing — sometimes sloped, sometimes vertical. ... Some of these houses had passive solar features, while others included active hardware: space-heating systems that circulated water or antifreeze through roof-mounted collectors, or arrays of solar air collectors connected by ductwork to insulated rock bins in the basement. ... Most of these 'solar houses' were built with little attention to air tightness and were insulated with fiberglass batts. Moreover, descriptions of homes with extensive ductwork never mentioned the need to seal duct seams." You wrote, "Saying 'top of the line windows are a waste of money' is like saying Notre Dame should have been built with clear glass." Unfortunately, Bronwyn, there is only room for a limited number of words in a headline. The topic of this article (as I hope is clear to those who read beyond the headline) is the cost-effectiveness of window specifications from the perspective of thermal performance. I certainly agree with you that if a wealthy client wants to choose expensive windows because they are solid, have hefty hardware, or are blindingly attractive, then they should choose the windows they want, regardless of their performance. You wrote, "Blaming windows and glass for overheating is another classic oversimplification. Overheating is more often due to lack of, or poor, shading design." In some cases (especially when it comes to west-facing windows in Las Vegas), you're right. In other cases, the installation of a trellis to encourage vines to grow on the south side of an overglazed building is an example of a poor solution to a fundamental design error. If a designer adds extra glazing to hit an annual space heating performance goal, and then tries to devise a shading solution to avoid March and September overheating, perhaps the designer should step back and make sure there isn't too much glazing in the first place. Finally, you wrote, "Finding the right balance is what we should be aiming for. Isn’t that what reporters are supposed to aim for too?" This is a big topic of debate in journalism right now. Should journalists aim for "balance" -- or simply good reporting? Lately, the argument in favor of "balance" has gotten a black eye, especially when it comes to reporting on global climate change. There were far too many journalists who used the classic method of reporting calling for "one the one hand..." and "on the other hand..." That's how so many journalists got duped by hired guns from Exxon posing as "climate consultants." Firstly, this is a great conversation. Thank you. I'm grateful that you and GBA provide a forum for all viewpoints to be heard and it's healthy for the Passive House community particularly to hear critiques of the concept. We share the goal of trying to build the best buildings we can for the budgets we are given. I wanted to clarify my statement: "I'm finding that even if I cranked the glass SHGC way up, the windows on this project would still be net positive heat losers, mostly due to how the building is oriented and the large evergreen trees on the south side." This project, like many retrofits, is not typical and the net loss of energy from the windows is not ideal. I'd prefer if we were able to make them net positive - the 'balance' sweet spot that should be aimed for in window selection. However, the existing conditions make that impractical and this is where I agree completely with the underlying premise of your article: expensive windows are not required to achieve high performance. here: "Herculean efforts to meet the Passivhaus standard pay no attention to cost-effectiveness." My project in California proves that Passive House can be achieved without massive south-facing or imported glass. I can cite multiple other Passive House projects across the country which have done the same. And projects by Passive House proponents such as Adam Cohen, Chris Corson, Jonah Stanford and the Artisan Group completely debunk your second premise. They've all paid extreme attention to cost effectiveness and still met the Passive House metrics. Finally, perhaps journalists shouldn't aim for 'balance.' We should all be screaming hysterically about climate change. Or maybe we should just be building more Passive Houses or writing about the folks who are getting them built practically and affordably? That way others won't be terrified of being skewered publicly if they do, and more will get built. Martin, you're right... you don't need expensive triple-pane windows. In fact the whole idea of afforable triple pane windows is a joke, isn't it? This is especially important if we want to get prodution builders on board.... and a few are look at KB and Meritage. Here in Sacramento our SolarSmart Homes program (unashamely self promotion), is getting production builders to near zero - averaging 60% less annual electricity and 30% natural gas use and often zero electric (and zero peak demand) production homes. 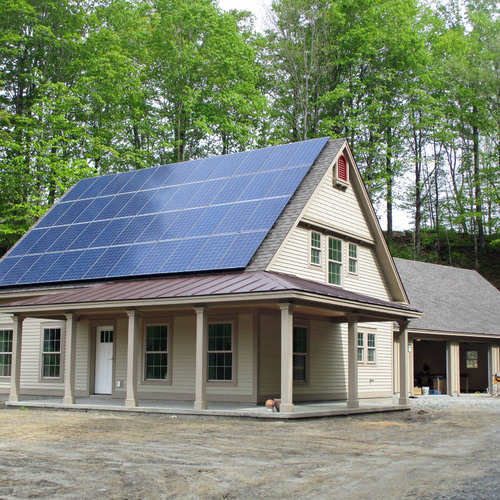 The SS home program is the only utility sponsored new construction program that requires high efficiency and solar PV (min. 2 kW systems). We've just finished our 1,000th SS home. And we use pretty good windows - dual pane, vinyl frame (yes, vinly) w/ U-factors/SHGC of around .3. Our next level, which we used to call Home of the Future gest the U-factor/SHGC to .2, which is commercial available at a reasonably price (you can thank E Star and tax credits for that). Earlier comments RE: impact of SGHC on so called passive claims are noted but frankly I don't think that they're that imporant in our hot summer climate. If the house is built tight, which most new homes are, averaging < 5.0 ACH50, solar heat gain isn't a big deal. The real issue is solar heat gain in the summer. The production builders could do a better job by adding some overhangs, but current market conditions and preferences won't allow that. So, to your point... pretty good windows will do the trick. Now, the really hard part is tackling those exponentially growing plug loads.... Let's hear about how we can deal with these. Totally agree with Martin that simplicity is essential as I am a homeowner and my motto is : KISS= Keep It Simple Stupid! However, regarding windows, we (my architect, my contractor and I) wanted the best value for money because windows are a big part of our design. We researched companies both in US and Europe for 3 months earlier this year. Our order being seizable and because we have south West views on water, we took a lot of time looking at quality, prices, finishes and warranties. "THE homeowner" of this discussion who strongly recommends to all architects and contractors who want to find customers to build a Passive House/NZEH with them, to start building and living in one themselves , do the maths and share how great it is! I think the main reason for our different perspectives is that you are designing homes in the Bay area (San Francisco and Berkeley), where the climate is mild, whereas I'm looking at Passivhaus buildings in the cold Northeast. I don't doubt that it's possible to design a Passivhaus building in the Bay area without resorting to Herculean efforts -- or even (perhaps) efforts that cost more per kWh saved than a PV array. Nevertheless, I stand by my observation that the reason that the two illustrated houses have so much south-facing glazing is NOT because the huge expanses of glass make the indoor spaces more livable or pleasant -- but only because the PHPP software pushes cold-climate designers in that direction. Once again, I'll quote from Roger Normand: "So how did we get to the 4.74 KBTU/sq. ft./year? ... To improve the overall building thermal performance, our architect, Chris Briley, added more south-facing glass and reduced the roof overhang above these windows to eliminate any winter shading. Chris assures us that the vegetative trellis he has designed along the south facade will preclude overheating in the summer. ... Marc Rosenbaum then added 10 inches of cellulose insulation, raising the ceiling R-value from R-76 to — gasp — R-118." These are the results of using PHPP in colder climates. I certainly agree that one possible response to our global climate challenge is to improve the energy performance of new homes. I think it's clear that GBA has been emphasizing that point for years, and trumpeting architects and builders who have that aim. But our community is learning; we all need to sharpen our pencils and get smarter. One advantage of discussions like those on this blog is that we share our idea and we all get better. Gary Proskiw's paper made me sit up and think. I'm old and jaded, but I still learn something every day. I've designed and built several homes in my day, but if I sat down tomorrow to design another home, it would look a lot different from all of the other homes I designed. I sincerely hope that the dialogue on these pages is seen in a positive light, rather than an example of "public skewering," as you put it. Your excellent work in Sacramento is a good example of how far you can go with double glazing. In mild climates like yours, there shouldn't be any need for triple glazing — especially since PV keeps getting cheaper every year. And of course you are correct about the plug load problem. The Passivhaus obsession with heating bills is overshadowed, more and more, by other energy loads. In a place like Sacramento, it isn't that hard to whittle down your heating bills. But it's hard to find an American family whose plug loads or domestic hot water usage levels are as low as the imaginary German family in the PHPP software. Thanks for the reminder that windows are chosen for many reasons other than cost-effectiveness alone. The average European window is built to a higher quality standard than the average American window. The best triple-glazed windows from Germany, Austria, and France are absolutely awesome. They are also expensive, as I'm sure you know. Good windows are a pleasure to open and close, are easy to clean, and don't require much maintenance. They also make a house more comfortable and quiet. It doesn't surprise me that those who can afford the best windows in the world decide to order windows from Europe. I humbly beg to disagree again on both your climate/cost assumption and your evaluation of the PHPP as a tool that “pushes cold climate designers in (the) direction” of large windows. Firstly, building Passive Houses in cold climates makes much more sense both financially and physically (think comfort, durability and survivability.) I’m sure you are familiar with the work of Thorsten Chlupp, Tim Eian, Chris Corson, Carly Coulson and Rachel Wagner? These folks are all utilizing the PHPP in cold climates, while driving down costs. Some of their designs have large south-facing glass, but not all. As I’ve stated earlier, windows are inherently part of a complicated selection process based on price, availability, local climate, building shape, site orientation and client preferences. Yes, we need analysis. I’ve done one that shows a higher cost, higher performance window can actually be a better option for the longer term. Secondly, the PHPP is simply a tool. It does not inherently push designers to do anything - the same way a hammer does not force a carpenter to hold its handle correctly to drive a nail. You have to use it correctly to optimize its efficiency. Large windows are not indications of poor PHPP use either. They are simply the result of a choice made by the building designer to optimize heat gain via the glazing. Use of the PHPP offers multiple other choices, including increasing thermal mass, utilizing higher performance windows that perhaps don’t loose as much heat and therefore require less solar heat gain to offset losses, or a myriad of alternate options. But, as in life, choices require trade-offs. If there is anything the PHPP forces, it is energy balance, not large windows. You get to choose which elements you want to use to create that balance. (How fun is that?) You also get to choose not to use the PHPP – it is optional. What most users love is that it’s outputs are predictable and there’s comfort in knowing you’re batting in the high performance ballpark when you do use it. I’m sure you would have loved a tool such as the PHPP when you were designing your own low energy buildings. Lastly, your reliance on the quote by Roger Normand as evidence that the PHPP pushes designers in the direction of large south-facing glass is shaky. Chris Briley may have chosen to go that direction. I haven’t seen his building, but he may also have looked at re-shaping the building envelope to generate a lower surface-to-volume ratio, or added internal thermal mass, or reduced glazing on the north side, or selected a ventilation system with higher heat recovery, or over-insulated the window frames for a better psi-install value, or … you get my point. As always, it's great to debate these issues with you. You wield great influence and have many great insights that we can all learn from. A sharp 'tool' is much safer to work with. I appreciate the opportunity to hone my blade on your forum, or is it an axe we are grinding here? I'm not grinding an axe here. I invite to you work with some cold-climate Passivhaus clients, however, and to see what type of building you end up designing. In cold climates, Passivhaus designers are already designing thermal envelopes with triple-digit R-values, and there is little value in going from R-110 to R-160. For you to blithely state that PHPP doesn't push cold-climate Passivhaus designers to include more and more south-facing glazing is simply misinformed. You're a brave man stirring up this little hornets' nest. First off, I know my prejudices are instinctively aligned against some of Gary's conclusions. I totally buy the Passivhaus proposition that, at least on site with optimal passive solar exposure, upgrades to the envelope can reduce mechanical system cost outlays by $10,000 or more. If you look at life-cycle costing, the savings are greater. We've seen this in a few of our houses. I agree with his hard numbers-based approach 100%. I know from looking in the mirror the we builders have a strong tendency to latch on to an appealing idea, make it an article of faith, and then use our intellect to try to justify it rather thinking critically. I think Gary is underestimating the benefits of additional south glazing area. I don't know why we don't get the same numbers; we're using the same HOT2000 software. He has probably been more rigorous than I have. I'm dealing with one off houses. It may also be that we are using different glazing characteristics. I'm using largish windows with Duxton fibreglass frames, center-of-glass R-5.7 and 0.57 SHGC. Bigger windows will perform better than smaller ones (1m x 1m) because the ratio of center-of-glass area -- the good part -- to edge condition is higher for bigger windows. My numbers are close to what Marc is getting. If we eliminate the basement insulation, we will need an additional 2,400 kWh per year of PV generation. To get this we will need an extra 170 sq. ft. of PV space (at cost of $8,700 at $4.00 per installed watt). That space just isn't available on any real houses I've been involved with. The reality is that if you don't spend beyond the PV justified max, you won't get to net zero in very many cases. None of this addresses the fact that we are dependant on a coal fired grid around here. Your point about the limited area available on the typical south-facing roof is a good one. Of course, in rural areas, it's usually possible to install a ground-mounted PV array if the roof isn't big enough. Planned communities may also be able to install a community-owned ground-mounted PV array that is sized to meet the needs of an entire neighborhood. Peter, since you are so far north, don't you have the option of using the south wall as well as the roof? Instead of blocking the sun, snow cover would nearly double the winter output of the wall PV panels. Good to see you chiming in here Peter. I would like to know if any of your recent net zero projects are reporting any overheating problems in the fall, due to excessive south glazing. I know that the Mill Creek home for example has a high ratio of glass to floor area. It also has a lot of mass and some clever shading to compensate. Your insights please. The day Elon Musk enters the building industry, we will have solutions, that just plain work and really take advantage of all that we know since the dawn of the universe. If anyone has Elon's ear that sees this post, see if you can interest him in sustainable net plus housing for the entire planet. I bet one napkin and a coffee later he would be an order of magnitude past PH. Congrats Elon on all your success of late with Tesla, your rockets, your solar work and all the rest. I'd love to work with clients on a cold climate Passive House. Anyone wanting a project designed in Tahoe is welcome to contact me. I'm unclear about the point you are trying to make in quoting Marc Rosenbaum. Any measure of high performance building is hard to achieve on sites with little to no solar access. That's not a fault of Passive House (or a problem with the PHPP.) It's like saying LEED should be overhauled because it rewards bicycle racks and you can't ride bicycles in cold climates all year. If we follow your line of thinking, Net Zero is also a specious target. So where does that get us? No high performance building standards where the sun don't shine? Change Net Zero goals because there are places where it is impossible to achieve? I'd agree with you in that case. Passive House targets will be more attainable than Net Zero in most places. Where the case for adding PV instead of additional insulation gets problematic for me is with grid failure. We've all suffered from the decrepitude (don't you love that word?) of our distribution system over the past few years. The economics of PV change dramatically when the panels are no longer grid-tied. Grid-tied PV will not keep you warm when the power goes down. Even in our mild Northern California climate, people have died of exposure in winter - Oakland to be precise. In your cold climate you're much more vulnerable. It's clear that you disagree, but I'd put my money on a better performing envelope. And I agree - maybe R160 does seem a little high and hopefully those designers are making better choices now that they have a little more experience with the PHPP? You wrote, "I'm unclear about the point you are trying to make in quoting Marc Rosenbaum." Here's my point: cold-climate Passivhaus designers who are having trouble hitting the 15 kWh number increase the window size because that's the only dial they have left to fiddle with. They are maxed out on insulation, and (whether due to design constraints imposed by the client, or design restraints imposed by the site) aren't able to fiddle with the house shape to make it any more compact than it already is. Without the slight improvement in thermal performance that comes from more solar gain, they can't hit the number. This isn't cost-effective. But it is the only dial they have left to turn if they want to hit the 15 kWh number. We have not had complaints about spring and fall overheating. Once we get into September, our night time temperatures (12C or less) are low enough that we can get effective cooling simply by opening windows. We have roughly 60 thermocouples in two these houses, but have not hooked them up to data loggers yet. This needs to be done to get a more objective picture. After building several of these high performance homes, you must have a list of "things you would do differently next time". Experience does seem to be the best teacher. I am also interested in how accurate you find the HOT2000 software to be. Thanks again. It's hard for designers to be sure that their design will achieve less than 0.6 ach50 when tested. Moreover, the expense of a high-efficiency HRV, in my opinion, shouldn't be chosen blindly; the incremental cost must be justified by energy savings that are proportional to the increased cost. Mike, we've had this discussion before. Builders on the West coast often berate designers in the Northeast, as if Northeastern designers didn't understand Passivhaus design prinicples as well as people in California or Washington state. Climate matters! Smart designers in cold climates continue to design houses with specifications that are over the top when it comes to cost-effectiveness -- for just one reason: because the client or the designer wants to meet the Passivhaus standard. The specifications that are over-the-top from a cost-effectiveness perspective are not due to designer stupidity; they are due to the inherent stupidity of the Passivhaus standard, which requires exactly the same 15 kWh/m2*year goal in all climates, without regard to cost-effectiveness. For those of you who have modeled European windows, do they have a whole unit solar heat gain coefficient rating or equivalent? The relevant standard in the US is NFRC 200, Procedure for Determining Fenestration Product Solar Heat Gain Coefficients at Normal Incidents. This means for cold climates such as Vermont, Maine and Alaska, your specific space heating demand number will most likely translate to somewhere around 20 kWh/m2a. (Which is what it is in Sweden.) Conversely, my projects in the more temperate Bay Area region should really be certifying at around 8-12 kWh/m2a, but the choice is ours and we can go either way: Heat Load or Heat Demand. A fresh air heating system can supply 300 Watts per person. If one assumes 30m2 living space per person, this leads to 10 W/m2 living space - irrespective of the weather." Hopefully the 20 kWh/(m2a) target will make it easier for your friends and neighbors in Vermont to achieve Passive House targets affordably with small, locally made windows. You should also rest easier knowing that the standard has always allowed for climate variation and has never been fixed on 15 kWh/m2a. Sorry, there is no Euro equivalent to NFRC 200. 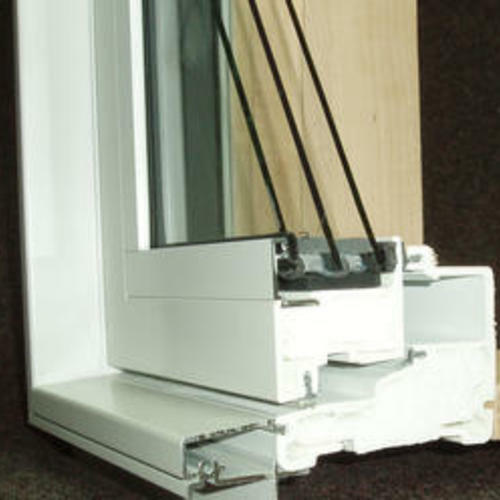 Euro windows don't model whole unit SHGC but rather break the window down into all parts: frame, spacer and glass. Performance protocols are typically modelled in accordance with DIN EN ISO 10077, EN 673 and DIN EN 13947. See if this helps clarify some of the differences: http://slidesha.re/vbkfQE. You're right that cold-climate designers aiming to hit the Passivhaus standard often find it easier to use the heat load criterion of 10 W/m2 instead of the heat demand criterion of 15 kWh/m2*year. However, even when the 10 W/m2 approach is used, we are still getting specifications that are completely off the chart in terms of cost effectiveness. The reasoning you cite (from "the smart dudes in Details for Passive Houses") hinges on the strange fascination of European designers with using ventilation ductwork as the means of distributing space heat. This fascination has no basis in physics or logic, and it is one of the hardest elements of the Passivhaus approach to justify. Cold-climate builders CAN'T squeeze enough space heat into ventilation ductwork unless either (a) the ductwork delivers recirculated indoor air, an approach derided (for no good reason) by Passivhaus experts from Europe, or (b) the house is deliberately overventilated, an approach that incurs a severe energy penalty. That's why almost all U.S. Passivhaus designers have chosen to deliver space heat through other means -- for example, using electric resistance baseboard heaters or ductless minisplit units. It just doesn't make any sense to deliver space heat through ventilation ductwork that is delivering 100% outdoor air. Finally, your assertion that "the standard has always allowed for climate variation" is directly contradicted by the "smart dudes" you cite, who explain that the heat load criterion of 10 W/m2 applies "irrespective of the weather." You wrote, "Where the case for adding PV instead of additional insulation gets problematic for me is with grid failure. ... The economics of PV change dramatically when the panels are no longer grid-tied. Grid-tied PV will not keep you warm when the power goes down." If you are a survivalist and want to build a house that operates well without the grid, you may want to pay extravagant sums for equipment that will help you survive in a world without grid electricity. But most Americans are not wealthy survivalists, and your argument -- one that appears to favor the installation of building materials that are demonstrably not cost-effective, while willfully rejecting more cost-effective, readily available technology (grid-tied PV) because of a survivalist philosophy -- is bizarre. It could also be argued that a Passivhaus building should never include a flush toilet, because the flush toilet won't work when piped water ceases to be available. Moreover, why not install doors and window shutters made of 1-inch-thick plate steel (very expensive, of course, but who cares?) so that you can prepare for a future without police protection? Does this sum up the whole 76 post conversation so far? "There are less expensive heating devices than a south facing window." One could make the statement more general still: for most house designs, increasing the area of south-facing glazing is unlikely to be a cost-effective measure for lowering energy bills, especially when compared to other available measures. I still believe that increasing south facing glazing can be cost effective IF careful attention is given to shading and to having enough useful mass to avoid any overheating. Proskiw's paper is not clear about this. Just because physics shows a Heat Load of 10 W/m2 as the basic requirement for human comfort in all climates and that this can be delivered through the ventilation system, does not mean that heat should be delivered this way. Ergo: a functional definition is not a functional requirement. Heat delivery via the ventilation ducting is most certainly not a certification requirement. To meet the standard you can deliver heat any way you choose, be that via large (or small) windows, solar thermal, electric baseboards or a daily disco party. Crunch the numbers and make your choice for what works best for you, your clients, available rebates and your building. There are some buildings and climates where heating through the ventilation system is possible. However, most of us don’t live or work in structures where the fresh air requirement, determined by the volume of the room, is perfectly in alignment with the heating load of that same room, determined by its location, orientation and glazing percentage. The PHPP acknowledges this discrepancy and includes a sheet where you can calculate the specific heat requirement for each individual room to make sure your system will supply it adequately. Early adopters have ignored this calculation at their peril and to their client’s discomfort. I’d like to see more evidence that substantiates “the strange fascination of European designers with using ventilation ductwork as the means of distributing space heat.” I’ve personally attended multiple presentations where this exact issue was studied. Designers have decoupled heating from the supply air for both comfort and economic reasons. These presentations were all in Europe at the International Passive House Conference, which I’ve attended for the past 5 years. Every year another person figures this out and presents it again. We’re not the only ones who have struggled to grasp this concept. Here’s my summary of our disagreement: You appear to believe that the Passive House standard forces cold climate designers to move towards large south-facing glazing and encourages the use of expensive windows which don’t make economic sense. You see this as part of the "inherent stupidity of the Passive House standard.” My rebuttal is that the Passive House Standard is simply a high performance building standard. The tool used to meet the standard, the PHPP, offers multiple paths to achieve this standard. The products and mechanical systems selected by each building designer and owner to achieve those targets can vary widely, as evidenced by the broad cost spectrum of Passive House buildings already achieved here in the US. Choices are not dictated by the standard and therefore the tool (or the standard) should not be blamed for how it is used. You wrote, "Physics shows a Heat Load of 10 W/m2 as the basic requirement for human comfort in all climates." 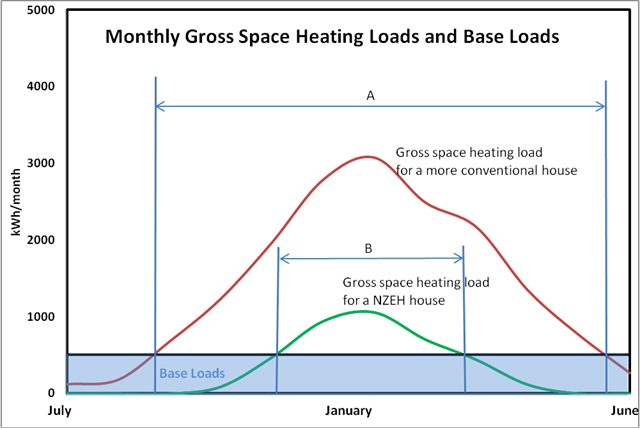 No -- physics has absolutely nothing to do with the quoted heat load; 10 W/m2 is simply one of two ways that the Passivhaus standard attempts to limit the size of heating equipment (and the size of peak heating demand) in a Passivhaus. It is an upper limit to heating equipment size and peak heating demand. This limit is arbitrary; it is not dictated by physics. You can see that this definition also excludes recirculation of indoor air -- a deliberate dig at North American forced-air heating systems. Concerning your last paragraph: I agree with your statements. 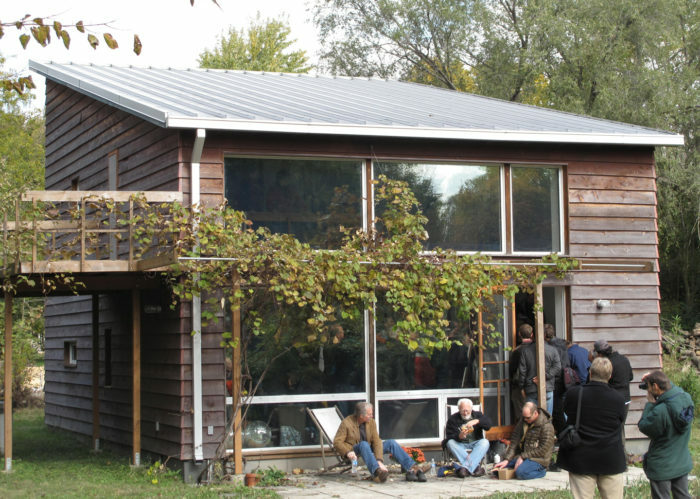 In some areas of the U.S., it's easy to build a Passivhaus in a manner that is cost-effective. In colder regions, however, the Passivhaus standard pushes designers to adopt specifications that are very costly -- far more costly that can be justified by any conceivable thermal benefit. You wrote: "Euro windows don't model whole unit SHGC but rather break the window down into all parts: frame, spacer and glass. Performance protocols are typically modelled in accordance with DIN EN ISO 10077, EN 673 and DIN EN 13947." I'm not as familiar with those standards, but best I can tell, they only deal with thermal conductance (u-factor), not solar heat gain. As I'm sure you know, the performance of a window as it relates to solar radiation is very different from the losses / gains that result from outdoor air temperature (which is all that u-factor accounts for). Your slideshow also provided no help as it deals with differences between the way window u-factors are calculated in the US vs. Europe. An important discussion, but not what I was asking. Surely there must be a European window standard that addresses solar heat gain. Otherwise, how can peak cooling loads be determined for glazing with solar exposure? Europeans do not provide G-values for glazing + frame (the NFRC approach); it's always a glazing-only value. That's exactly what I was looking for. Good 'ole Wikipedia. I'm working on a large home with German windows. I can estimate whole-unit SHGC from the G-value, now that I know what to ask for.. I read with interest the article regarding passive solar heating and relative cost effectiveness, with the image of our GO Home as a visual and an analysis of a Canadian home as data. I would think, in the interest of fairness, that you might consider a post about the actual energy performance of the red house and how it relates to the passive house standard and passive solar design more specifically. I would be happy to assist you with that if you would consider it. There are many details we could go over, but one interesting thing is that we chose to hit the passive house standard as well as try to make it net-zero for under $270,000. Of course, lowering the heat demand to passive house level made getting to net-zero that much easier. I've just completed a review of the last year's energy use as tallied by an eMonitor. A family of 4 has been in the house since last September and the annual energy use (with the 2.85 kW PV and 60-tube SHW system) came in at under 1,000 kWh for all energy, or $150 at our electricity rate. I wouldn't put any more PV on the roof at that number since it would risk giving power back to the utility if occupancy changed and consumption decreased. Surprisingly, we've not seen the overheating issues many think we should be seeing. The combination of thermal mass in the 12" of concrete floor and gravel above insulation, night flushing, and minimal glazing on east and west actually kept temperatures reasonable through hot weather. I found the quote in your article that someone surmised that passive solar homes like The Go Home should have overheating problems a rather poor degree of evidence to support the claim. By the same token, the calculations by the Canadian man that a square meter of glass does little to improve the heating load over a square meter of insulated wall meaningless. Clearly, in his climate that could be true (however, Peter Amerongen's evidence is clearly different), but on the coast of Maine it's actually quite different. Removing half the south-facing glass on The Go Home results in a doubling of the heat load. We weren't actually just guessing on the quantity of glass--we ran the numbers--not in Winnipeg, but in Belfast. Finally, the biggest point about those giant windows is: people really like them. We've sold 2 other identical houses, and several more with similar facades, because it turns out people really like light. And people really like wood over vinyl--in fact, they will do without other features in the home if they can have European wood/aluminum windows. I'm not sure how many dark boxes with heat pumps we could sell even if they were net zero, but if other people can make that work, more power to them. But your point about needing to rely on passive solar design to hit the PH standard in the northeast is well taken, and I would not dispute it. On our next PH certified building (TerraHaus at Unity College) we reduced the glazing to floor area ratio, added more insulation and improved the HRV to hit the standard, and it may be a better building as a result. If you'd like me to put together some data for you on The Go Home and our other passive house certified building TerraHaus (which also has an eMonitor and WEL) I would be happy to do that. Thanks very much for sharing data on the performance of the red GO Logic home. All of the information your provided is much appreciated. I would be delighted if you wanted to submit an article to GBA detailing the energy performance of that house. The reference to overheating in the article was part of a quote from the paper by Gary Proskiw, who advised residential designers that "south‐facing glazing area should be restricted to 6% [of the conditioned floor area] (to control overheating) and total window area should also be limited to that required for functional and aesthetic considerations." By contesting Proskiw's advice, I assume you are implying that the amount of south-facing glass in the red house is more than 6% of the conditioned floor area. You attribute your success in limiting problems from overheating to "the combination of thermal mass in the 12 inches of concrete floor and gravel above insulation, night flushing, and minimal glazing on east and west" -- proof that whole-building thinking and analysis often trumps a rule of thumb. 2. The value of the energy saved each year by the X/2 square feet of south-facing glazing that you chose to install. Certainly where I live in Colorado a lot of southern high SHGC glazing makes a lot of sense from a BTU's gained point of view with very sunny winters so to me this is a question of design region. Exterior shutters or covers do well for overheating during swing seasons. As far as passive house is concerned Dr. Fiest has mentioned several times that the low u values for the windows are not just for energy saving but for comfort, reducing radiant loss in the dead of winter on bare skin creates the perception of a warmer home, even in the ambient temperature is lower than a more conventional house. After all the entire point of using energy to heat a home (beyond keeping the pipes from freezing) is to provide comfort. My two cents. I am using the Intus windows for my passive house at a total cost of $12k for 1500 square feet treated floor area, not bad for U.19 tilt and turn. I certainly agree that during cold weather, it is much more comfortable to sit near a triple-glazed window than a double-glazed window. Clearly, it makes sense to choose low-U-factor windows for comfort. The bottom line: choose your glazing specs for comfort, but make your windows as small as possible -- just large enough for adequate daylighting. Choosing larger windows to increase winter heat gain during sunny days in winter won't yield reasonable energy returns. Gary Proskiw's modeling exercise was performed for a hypothetical house in Winnipeg, Manitoba -- so I guess the answer to your question is, "Yes, in Canada." So I was just wondering how these calculation would be very beneficial to everyone who does not build in that climate zone. Also I wonder if the same case study done in the PHPP would end with a similar conclusion of maximizing wall r-values over adding more glass to the south from a cost benefit point of view. This is really about appropriate design for the climate and a good passive house modeler may come to the same conclusion on limiting window ratios to 6% south side for the test case. Where I live that number would cost me valuable solar energy and lower my performance significantly. The first concerns climate. You are correct that results from a modeling study of a house in Winnipeg cannot be automatically applied to other climates. Anyone curious about these issues should model their own home design in their own climate. That said, Proskiw's study still reveals certain principles that may apply rather broadly. The second issue concerns the difference between (a) the most cost-effective way off achieving the Passivhaus standard, and (b) the most cost-effective way of building an energy-efficient house. The difference between (a) and (b) is vast, as regular readers of GBA probably know. You get to choose which path to follow. Following path (b) is almost always significantly less expensive than following path (a). I agree with much of what you say here [in the paragraphs published as "An interesting postscript" at the end of the blog]. I've observed these relationships firsthand in the countless iterations of HOT2000 files we've done for our net zero and near net zero projects. In fact, the passive solar situation is worse than you describe. HOT2000 assumes that every theoretically available kWH of sunshine will hit that south facing window. There is no provision in the program for reductions due to shading other than front the overhang above. The calculations don't even take into account shading from other wings of the building. ( We've started to take on-site SunEye shots and adjust the modelling outside the program.) PHPP, the passive house software, forces us to take all obstructions (and dirt) into account. My point is that if net zero energy is the bottom line, you can't get there without utilizing some expensive measures to get the loads down- more expensive than the marginal cost of PV. When PV costs were in the $7.00 per installed watt range one could 'afford' to spend more on insulation, windows- including south facing windows that produce less than optimal returns. With R56 walls, R90 roof, R25 under the slab, .5ACH, very large amounts of south glazing (triple for sure) additional thermal mass by way of 2 1/2" concrete overlay on the floors we could find almost enough roof space on premium sites to install enough PV to generate the ~10,000 Kwh per year we needed. On these houses our south facing windows were producing ~2500 kWh/ year more than they were losing. Our PV awning is working well to control overheating - and to give us more effective roof space. Now that we can get PV for 1/2 that price we can't find anywhere near enough roof space. We can't dial back the conservation to where the marginal cost of conservation is equal to the marginal cost of PV generation and still get to net zero energy. We run out of roof space long before we run out of money to buy PV. It seems the only way to get to netzero is still to invest in conservation to about $7.00 KWh/year saved. This includes maximizing passive solar gain, ground source heat pumps, air source heat pumps, and Passive House stuff like thicker tighter walls, more insulation under the basement slab, better HRV's than we get in Canada, better windows and better thermal bridging control. It was really a kind of coincidence that it balanced out the way it did on our early projects. My new net zero spreadsheet now includes a roof space requirement line. I was hopeful that air source heat pumps would reduce the array area - that if we could get a seasonal COP of about 2.0 we could buy enough roof space, but it is dammed expensive roof space. The ducted version adds about $5000 over the cost of a very high efficient condensing gas furnace. That can be reduced substantially if you are brave enough to try point source heating, but the cost is still be close to that of an efficient gas furnace. If I had a nickel for every person to whom I bravely proclaimed that the secret to net zero is invest in conservation up to the point where the cost per watt of conservation = the cost per watt of PV, I could almost afford to put up enough PV to make my own merely R2000 house net zero ( if i had the roof space). We found the same results using PHPP. Without generous amounts of passive solar it was impossible to hit the 15kWh/sqm target in Edmonton. I've been hunting unsuccessfully for the last 3 months for a lot in Edmonton with good enough exposure to hit the PH target. P.S. Only one of our projects has actually performed to netzero. These projects are more conserving than your recommendations, use all the available roof space and then some and are still a 1000 or more kWh/per year short. Jees, what does a guy have to do? It ain't fair. I'm hoping we can get that 1000kWh with better HRV's with a ground loop preheater (500) and better window installation and thermal bridging control ( another 500 or so) - basically Passive House stuff. These measures will not be cheaper than more PV. Our real NZ house is making it largely because of the exceptional behaviour of the owner- a single very conserving guy living by himself. He used 5000kWh last year for everything heating, lighting, appliances, and DHW and produced just under 10,000. Good article, but not really new info...that is if you actually do a proper building heat loss analysis and a proper passive solar heat gain analysis... If you have a super insulated building, you will have less heat loss and require less heat gain than conventional construction. So if passive solar is going to be your primary heating system, you need to be BOTH agressive in capturing the irradiance and you need to move/store/reject the excess heat. This is why we advocate properly designing integrated hydronic radiant floor and passive solar heating systems. One can generate the required passive solar heat gain by varying the window area, SHGC, and roof overhang paramters. One can move/store/reject the heat via the hydronic radiant floor system as required. We created a suite of DIY design calculators to help people do this. One should carefully read the calculator instructions before using the calculators. There is really no reason to accept/tolerate passive solar overheating during the spring and fall months and the price of the glass is certainly not a factor if the glass characteristics were factored into a proper design. Thanks for the reply, Peter. I agree with you that in many cases, the practical limitation faced by PV is simply available roof space. With the cost of PV continuing to decrease, we are reaching a point where the optimum area of PV can now exceed the available roof area. We need a brilliant idea vis-a-vis conservation/renewables. Anyway, one thing I can offer that may help a tiny bit is that HOT2000 does have the capability to include the impact of shading. If you look at a typical window tab (see below), there is an entry marked "Curtain" (or Curtain Shading Factor in some documentation). This represents the percentage of solar radiation reaching the outer surface of the window divided by the amount of radiation which would reach it if there were no external shading (other than the overhangs). So, it can be used to include the affects of shading. Of course, the user still has to figure out what is a reasonable number to use to represent the shading - which can change throughout the year with vegetation, solar position, etc. But it is a start. Gentlemen, I cannot tell you how excited I am to find out this website and board exists. I am an American living in Germany. I used to build in the US (and I am returning to do so). I was an early adopter of the "pretty good house" methodology (the other builders just called it being cheap) to make my houses as energy efficient as allowed by simple economics. I would like to know why so many people are down on vinyl window frames? Almost every window here is vinyl tilt and turn. I understand PVC is not so great for the environment (but then again so is owning a pickup truck) but vinyl seems to have the right price point and since i will only try to build in a modern style when I return to Atlanta this year I planned on using them. Q. "Why so many people are down on vinyl window frames?" A. This is a green building site, and many visitors to this site object to the manufacture and use of vinyl because it is manufactured from fossil fuels; because its manufacture is potentially harmful to workers; and because some types of disposal may release dioxin into the atmosphere. That said, there are trade-offs with all building materials, and many builders and homeowners are happy with their vinyl windows. The favorite vinyl window for energy-efficient builders in the U.S. these days seems to be Intus, which is manufactured in Lithuania. Martin, I see your point about the "green aspect" of vinyl windows. i will try to go visit the Intus factory and check it out. we hit over 50% energy savings... ! Yes ! Really ! with subcontractor costing 225 per opening and 2000 beautiful bay and custom covered wood jobs. ! TODAYS ~ 300 per opening installed and 2700 bay similarity in N OH,,, VINYLS. Parents storms still worked over 16 years later. Lifts were changed in most windows by then where frequently used. The savings in retrofitting was air infiltrations were dramatically reduced, because the double pane +storms don't match the testing data for the extremely happy buyers of our performance guarantees. tiny tiny heat-cool-HW and Heat-Reclaimers, I beieve. Your writing is hard to decipher, but I think you are telling us that you are an installer of vinyl replacement windows in Ohio. Your claim that installing vinyl replacement windows results in "guaranteed 35% energy savings -- we hit over 50% energy savings" is not only unlikely, but has been repeatedly disproved by countless researchers. The researcher who has collected the most data on this topic -- someone who has compared more pre-retrofit and post-retrofit energy use data than any other researcher in the country -- is Michael Blasnik. Michael Blasnik reports, "You'll see savings of about 3 therms [of natural gas] per window per year. Solar gain loss offsets some of your savings. You might save $50 or $60 a year after you spend $10,000 for new Energy Star windows for your house. Window replacement has a 100- to 300-year payback."